Submitted by Bradley_Bs_Games on 2013-11-11 12:51. This game is desinged and fitted around a fighter class (Fighter, Fighter/Rogue Combo, Paladin, Barbarian, etc.) and all the gear and upgrades will support these classes. 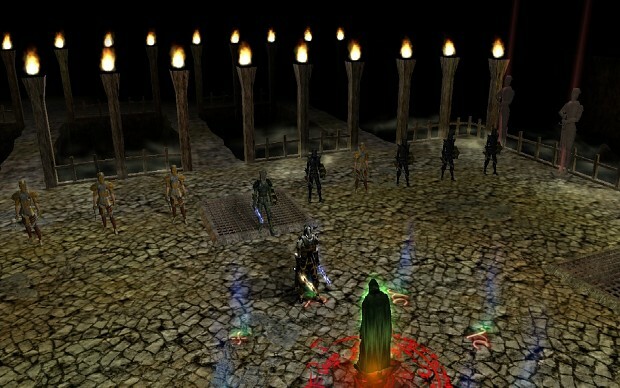 It is considered Hack-N-Slash but uses unique encounters throughout the game that hack-n-slash alone will not solve. 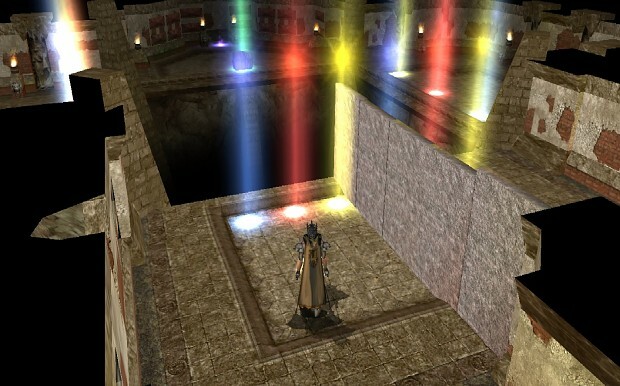 There are a multitude of original puzzles to solve (kind of like the old Zelda games). Each of these challenges or puzzles helps you in your progression throughout the game. This game is a serious game and will take 60+ hours to complete if not using the complete walk-through. It is broken down into two parts. The first half: Takes place in the city of HeavensGate where you will begin a mission to improve your fighting skills and self-defense. This allows you to learn your character and define their skills before taking on the harder, second half. 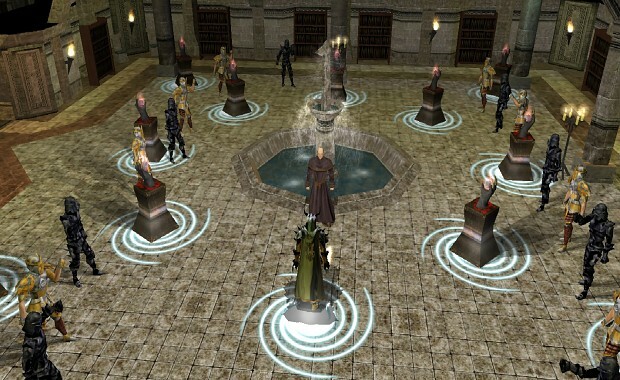 You embark on a multitude of quests that you must solve for the Prince and citizens of HeavensGate. 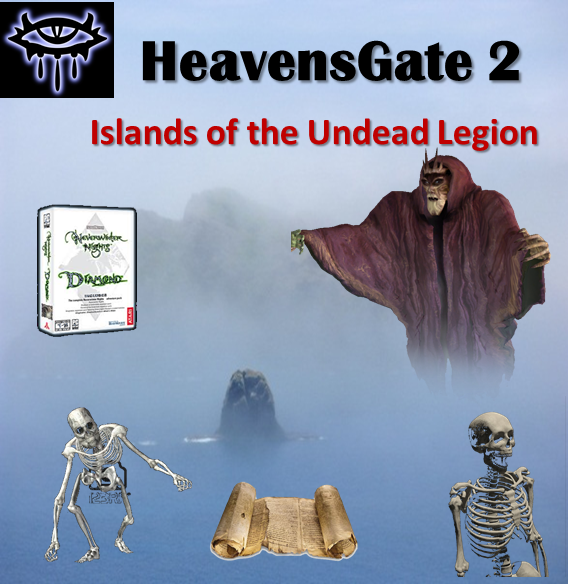 You will build up to 6 or 7 levels of experience before you take the trip over to the island of St. Lorion to start the investigations of the Undead invasion. The first half ends with a mind blowing and challenging event that you must enter, known as The Great Arena Challenge. You will have to win each trial in order to move on to the next one. You will have to win twelve different and unique events in total in order to pass the trials. It ends with a twisting, plot driven scenario that leads to the second half of the game. This challenge is meant to be tough and is the climax to the first half of the game. The second half: Starts when you sail over to the island of St. Lorion to investigate the Undead Invasion that took place. The Undead Army stole 12 ancient scrolls that you will enventually need to get back for the people of St. Lorion. You will also be driven to find out what happened to your Father who went missing. You will dive deeper and deeper into the hidden world of the Undead Legion until you and your eventual army take on their top leaders. The second half will allow you to build resources and eventually purchase god-like gear which you will need in order to defeat the end-game. So keep your eyes out at the weapon shops, armor shops, and magic shops to get your shopping list going. 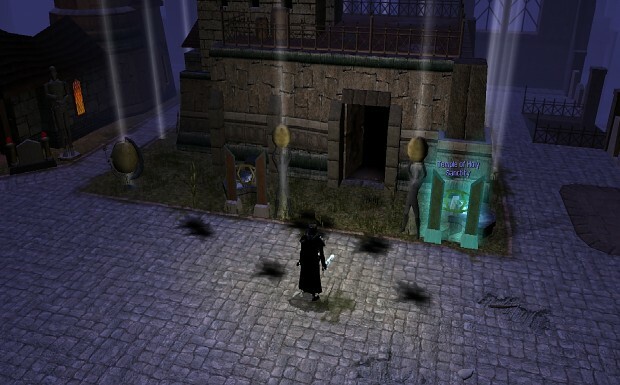 You will also gain valuable items throughout the game by doing the vast amounts of quests and mini-quests. Expect to be level 19 or 20 when the game is over. This game comes with a 31 page walk-through that takes the player step-by-step on how to complete every zone in order to win the game. I recommend that you ONLY use this if you are absolutely stuck and do not know what to do. I also offer my email to answer any other questions you may have about the game. I know there are not a lot of NWN original players left out there, but for those that are, I hope you find this game fun and challenging. STARTING TIP: If you want in easier on your first attempt, It is highly recommended that you start the game as level 4 or 5. When you log into the game in your Master Bedroom, turn around to the mirror and walk toward it. You will gain experience and will be level 4. This will make your first trip in this game much easier and more enjoyable. My name is Brad Bartram and this is my third serious NWN module that I have built. I knew nothing about scripting in 2008 when I started my first NWN module, and still remember the frustrations and late nights getting one simple thing to work. I was determined to complete my story and finally completed my first HeavensGate, Kingdom of Crystals. I was nominated by NWN Vault for Debut Author of the Year in 2008 which I found rewarding for my efforts. It is hard to please everyone, I just hope I bring joy to some people out there that appreciate my creativity and work. Feel free to shoot me an email if there is any other info you seek. Enjoy your journey and Good Luck! I really liked HG1 and so far HG2 is very well done... Seems more balanced and flows great. I have just made it past the Great Arena Challenge...! Wow, that was pretty amazing and very tough if not for the guide. Nice job! I knew right after the sewers that this mod would be right up my alley. The secret token puzzle in flood cavern was extremely cool and well scripted. Still can't believe you are an fairly new scripter... I am off to Lorion to fight the legion, can't wait for what lies ahead... I just wanted to say thanks for bringing us a second HeavensGate! Well I finally finished and I must say, I gave this a 10 based on fun factor! I am literally going to play this again as a Warrior / Rogue multi-class. 1. Creativity and original mob creation. I really enjoyed that there was so much original content. I can tell you put a LOT of thought into this. 2. Puzzles and dungeon design. 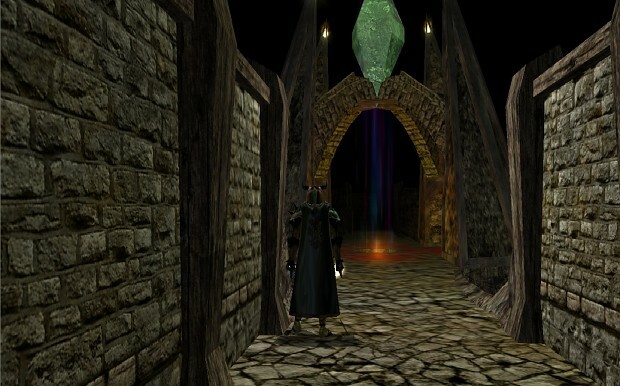 I absolutely love the creative puzzles that had to be solved and the way you layed out the dungeons. Very similar to HG1 however, I think this module was even better. The great arena challenge and the great war, wow!!! Wilks is my new best friend! 3. Flow of the game was well controlled for such a large world. 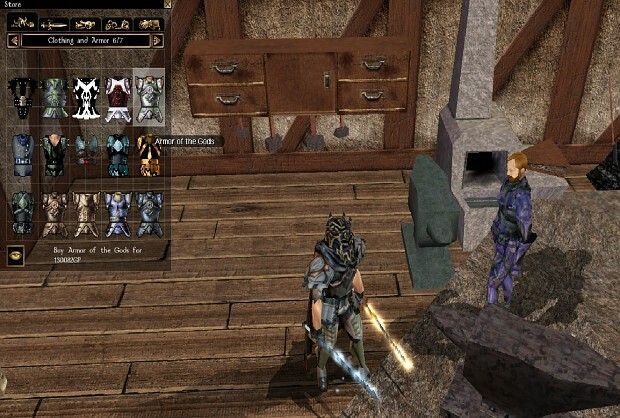 The game design and direction did not leave the character wondering what to do next. Compared to HG1, this game ran a lot smoother and to your point, much more polished. The "no henchmen" to this mod eliminated a lot of frustrations that HG1 sometimes had because of them. 4. Good blanace of cash flow and resources at the right times... I like how you can afford all the good stuff near the end of the game as that really helps! Some games struggle to bring enough resources where you feel deprived and some games give you way to much, too often. If you do not upgrade in this game, I can see how it would be a lot tougher. 5. Replayability: Definitley... About to play it again. There are many parts to this game I would like to experience again. 6. Nice use of the recall stone where you had to build it to use it... Nice touch and nice use of scripting to pull this off! 7. Nice job on the scroll collection and they way the get sealed back. That was really neat. Final ceremony was also a very nice touch! 9. A GREAT walk-through guide that aids the player with this game. It would be very tough without this, and it really helped me keep going. 4. Final boss in Crypt of Nightmare was dam near impossible to beat. I finally just got lucky and pulled it off. Was there a tip not mentioned in walk-through on him? Overall, and this is no put down to your abilities, but I wish a gaming company could get a hold of this story and design and put in some cut-in scenes, voice overs, extra scripting fluff to make this game what it deserves. For only the second addition to your debut game in HG1, it amazes me still how you pulled this off... This game deserves many props!! Thanks for the positive feedback and I am really glad you are enjoying the game. I am not sure about a 3rd release and will surely depend on support I get. It does seem much slower these days because it is such an old game. 1. Glad to help you on the final battle, not sure why that did not trigger for you as that never happened in all the beta tests we did. 2. Yes I was not familiar at all how to incorporate all the trade skills in the module. And since the game was built around the fighter classes, I was able to keep that limited. 3. Doors I can leave off for sure, especially if they are never planned to be used. I read this recently in the "how to improve modules" as well. 4. Final Boss in Crypt of Nightmares is a pita. He uses many spells that require teamwork to counter and since this is a solo game, he can cause difficulty. I just save right before the fight and load up on ALL possible potions. Save the game again so I can keep coming back to this part until I beat him. Best solution is to go all out on the boss and forget the adds. Once again, reach out for me if you need anything else and I DO appreciate all the feedback on my module. It is the only way I know how to keep things right or make things better. Can this be played multiplayer? Hi there, you should repair the link above for HeavensGate 1 since it still leads to the old nwvault. Thanks for your efforts, I am trying your modules out right now. Seems very good so far. You are right, I've updated both entries to link to each other. Looking back, HG1 was a rough trip for me being how huge it is and henchmen etc... It was also my first scripting attempt. HG2: Islands of the Undead Legion is much better imo so I highly recommend you play HG2 no matter what. thanks for the hint. I just downloaded the updated version of HG2. Had not much time playing, though, because real life issues were more important right now (my son beeing sick for several days). But I will get to it. The arena fights bored the story of the game, but great overall. The captain doesn't take me to Windcrest Island, the ship's door is locked, ideas? After you talk to Karl at the magic shop, you are instructed to go talk with the Cargo ship Captain, who is standing on the ship. After the conversation with him, he approves you to use the ship and the door should be available to transport you to Windcrest island. That doesn't work, i'll try emptying the override and the usual bugfix routines :D thanks, anyway. I really like how it starts, though! This has never been a bug thus far after all the testing etc... So something is off on your end? - magelov or magetov's longsword of the sky? Description and name differs. - why undead have kitchen, butchers, chefs and barracks with beds? - prince and commander wilks share portraits! 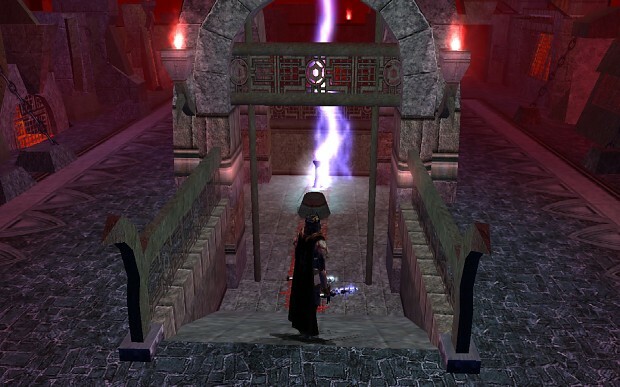 - during 11th trial the shadow lord does not disappear nor stops his attacks as walkthrough suggests. I found a way around it: lure him away and kill him. Then jug potion down and kill others. - Scroll numbers.. they are in that weird numerical system, right? They are numbered i.e. XIIV..
- many NPCs are mutes, i.e. market vendors, citiziens etc. - herb doctor shop can be exploited for infinite gold, but since there is those respawning weed as well.. those might be intentional..
A good example on how far you can go with the toolset even without using hakpacks! Enjoyed this part even more than the first. Some dialogs still could need some work. I remember that when I didn't fetch an item from a room, but still progressed in the game, what that king/city ruler guy said didn't make much sense anymore. Again, personally, I would have added more map notes. And some feedback for doors/chests. Really great work on the guy securing the scrolls. It was fun watching the animations. There was some trial-and-error jumping again, but this time it wasn't that many invisible ground triggers, so I am fine. Good job on music, sounds and area building. I got the feeling that I am in an unique fantasy world, no longer in the Forgotten Realms. Still looking forward to part 3. I've been instructed to met Mokkar at the docks but there is no one at the docks. Where is he exactly? 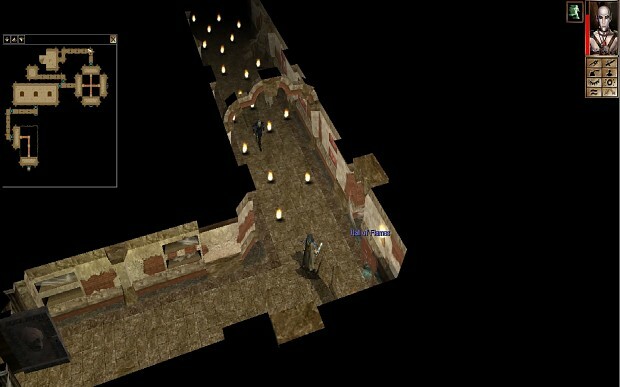 By clearing my Override folder I am now seeing things that I did not see before, like the rats in the sewers, and of course Karl in his Mage's Tower! There should be a note with this module that the folder should be purged. I do not believe that I have had this problem before, and I have now played over one hundred modules recently. Sorry for the posting. I am stuck trying to go down the Dark Alley as I cannot detect the traps and they are killing me...Literally! I found a way to jump from one raised area to another, across the alley and also a shield of some sort on the side wall, but it didn't seem to do anything. Is there a trick to this, or does one need to be an upper level Thief? If so, I am screwed! Thanks for anything. To be fair, clearing your override folder is something you should do before playing any module. True, some modules force you to install overrides, but it's bad practice, so they should be removed before playing the next.